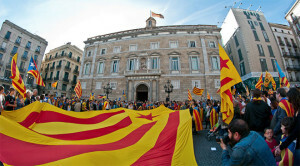 When on September 11th, 2012, day of the DIADA in Catalonia, thousands of people took to the streets of Barcelona and, with a cry of INDEPENDENCE, woke up the whole nation, with a strong resonance around the world, what became evident was people’s determination to make themselves heard after years of long frustrating silence. 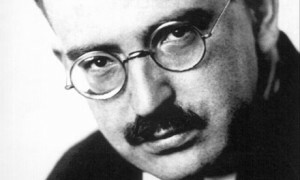 Walter Benjamin’s ‘Angel of History’ speaks of an angel whose eyes are fixed on images from the past, frozen, while a wind is blowing from paradise forcing its wings to flutter, projecting it towards the future. This angel’s wings in Catalonia began to flutter with the cry of Independence; however, its gaze is still fixed on a Spain which is disintegrating by the minute. Our attention should not be diverted towards matters of corruption and undemocratic practices from a Spain that is crumbling. Let’s fix our eyes and our full strength solely towards Europe. From a distance what we see is that, in between one agreement and the next, Catalonia fills itself with a sepulchral silence only occasionally broken by political squabbles which evade the central debate, driving the people to despair. Amidst this social climate of frustration and impotence, due to the never-ending scandals of corruption, Rajoy goes and talks to Angela Merkel, or to his interpreter rather, while our politicians insist on debating whether Rajoy is a ‘kind man’ or not. This kind of debates do not benefit our process. The debate for Catalonia must be guided by individuals who, as Mr. Josep M. Batista i Roca announced, ‘are capable of fulfilling their goals at every moment and in any given situation’, and it must be focused towards Europe. The European Union is going through its weakest moment in the history of the EU and these are times when they need countries capable of committing themselves morally and democratically, as well as having financial weight, like ours; just as the philosopher Jurgen Habermas foresaw. Habermas referred to the Europe of our generation as a system lacking in moral ambition, while overlooking the identity crises and political and social injustice within their member states. We should all assume responsibility to create the right climate and robust grounding for our next generation. In order to become part of a future Europe, we will need to rid our society of many practices which Catalans have been carrying out ‘the Spanish way’; like, for example, political cynicism and malpractice. This kind of politics should be scrapped if we want to find our niche in Europe. Unfortunately, this way of doing things ‘the Spanish way’ has infiltrated into all layers of the Catalan society and it manifests itself primarily with signs of inertia and sloppiness; we must shake these off if we want to form part of the European framework. Layers of society like the educational system in which archaic and even anti-democratic structures are still in vogue; for instance, the lack of a democratic hierarchy within schools to give room to professional dialogue and transparency. 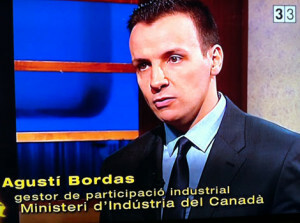 Agustí Bordas in the Catalan TV programme ‘Singulars’ referred to aspects of our society that must be changed so as to improve our image outside and gain Europe’s respect; behaviours which manifest themselves most clearly when one has spent a considerable number of years abroad, as Lluis Bordas mentioned. Nevertheless, this is ultimately only possible providing that, in words of Batista i Roca, ‘people cannot be unless they are free’. The force from the people shown on the day of the DIADA was spectacular, powerful and has strengthened individuals who, taking the world in their hands, like the mayors of certain towns in Catalonia, have decided to apply their own measures, propelling the Catalan government forward with the sovereignty process. No matter how many obstacles are placed by the Spanish government to stop the Declaration of Sovereignty, approved legitimately by the Catalan Parliament, we hold the key to our freedom, and that includes the possibility of a Unilateral Declaration of Independence, which, in essence, is a much more democratic tool than the Spanish Constitution itself and their endless threats to use military force to guaranty ‘national union’. When the people cry out, the whole world listens. Let’s continue to make noise and we will be heard far and wide. *Views expressed in this article are the authors’ only.